SSD1 is an online course that is required before you can be promoted to SGT. The hardest part of the course is figuring out how to print the SSD1 Certificate of Completion in order to get paid for it and get it added to your ERB. This guide will walk you through the process step by step. ALMS is located at https://www.lms.army.mil/Saba/Web/Main. This is the same location you went to to register and complete SSD1 in the first place. You will need to use your CAC or AKO login and password to access the site. On the main page of ALMS, click on the green square on the right that says “Go to ALMS Homepage”. In the “Training History” box on the left side of the screen, click “Detailed Training Record”. 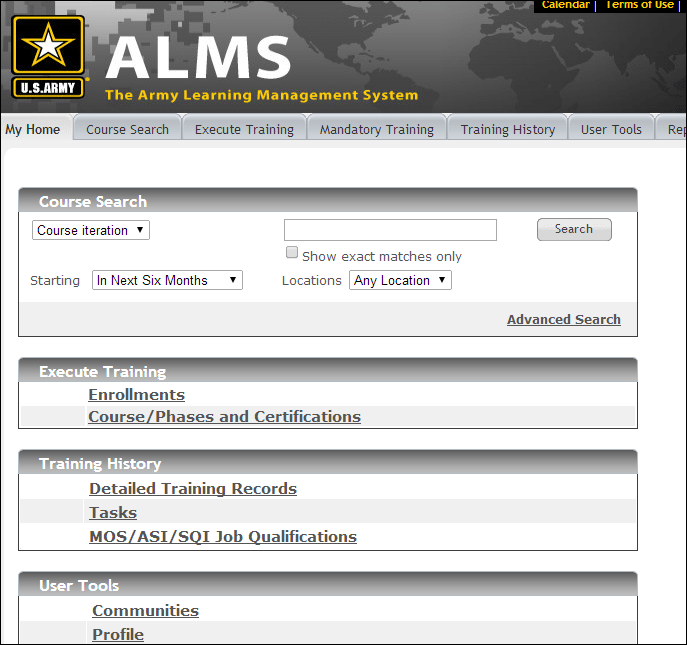 This will bring you to a page where you can search all of your previous courses completed in ALMS. If you completed SSD1 in the last month, your course should be visible without searching for it. If not, change the date in the search box to go back as far as you need to for the date you completed the course. Click “Search”. 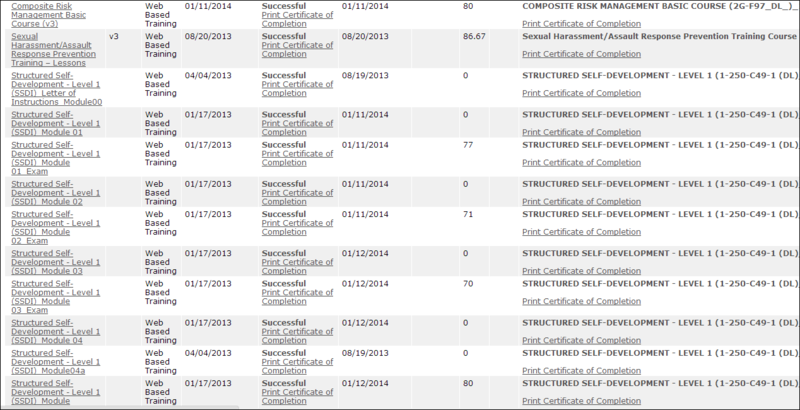 This will bring up a list of every course you have completed in ALMS in that date period specified. Scroll down and find each of the Module Exams. These will be the ones that have a number score in the column. Click “Print this Certificate” on each of the Module Exams, there are 4. Staple them together and take these up to S1.